/ News / Who've you got in this weekend's Splatoon 2 TMNT final? Who've you got in this weekend's Splatoon 2 TMNT final? After a fortnight of dust-ups, the North American and European Splatoon 2 communities will face-off, one more time, to decide who is the greatest Teenage Mutant Hero Turtle: Raphael or Donatello? Raphael beat team-leader Leonardo in round one, with Donatello taking the victory over Michelangelo in round two. Interestingly, in both cases, the popular vote went the loser's way, but the eventual winner scored both Team and Solo Play points. Pearl is sticking with her original choice of Raphael, while Marina has got Donatello's shell for this Grand Final. Donatello is my favourite TMNT, but I'm still sure that Raph (or "Ralph" as Marina, the dolt, insists on calling him) is gonna take this tournament. We'll find out in just a couple of days' time. 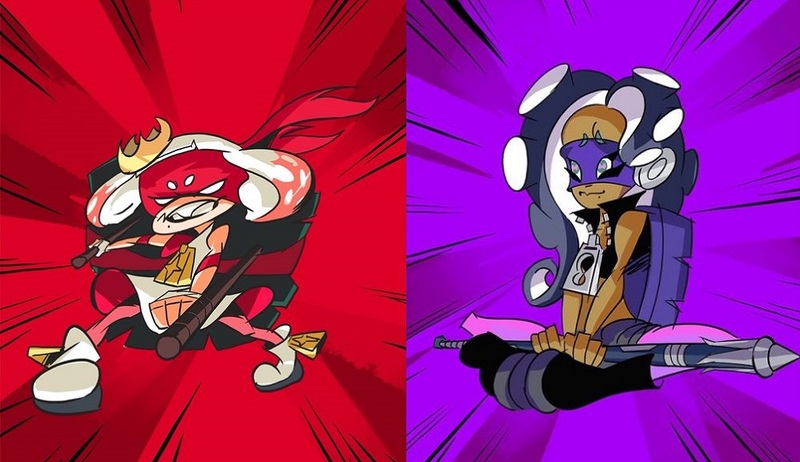 The Raphael vs Donatello splatfest begins this evening in North America at 21:00 PT until the same time tomorrow. In Europe, it's shell-time from 15:00 CET until the same time on Sunday. Cowabunga!